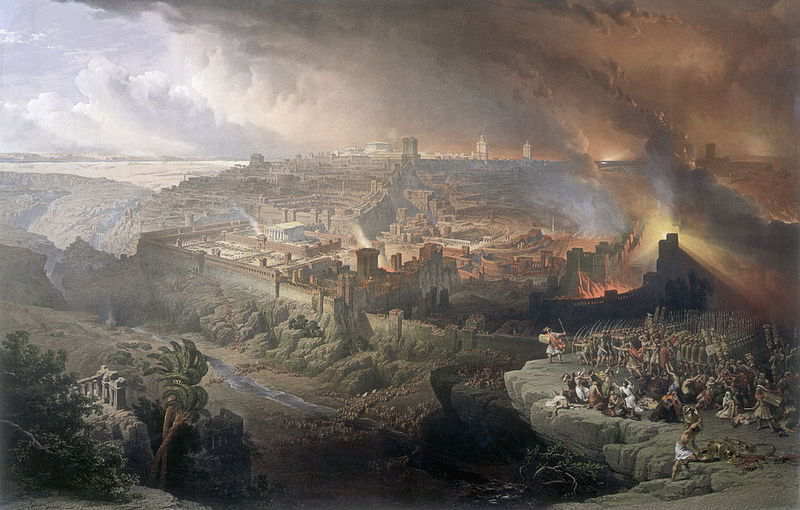 This week’s Scripture readings are 1 Corinthians 12:1-11, St. Paul’s discourse on the Gifts of the Spirit, and Luke 19:41-47a, Jesus’ prophecy of the destruction of Jerusalem (see illustration at left) and St. Luke’s abbreviated account of the cleansing of the Temple. There will be no posting of a Revelation series episode this week. Last Friday my iPad Air went black screen and would not come back on. It’s at the Apple Store being repaired or, I suspect, replaced. Promised delivery of the fixed or replaced unit was 3-5 business days, which probably means Monday of next week. Episode 18 needs the voice track and coordination of the pictures with the narrative. With luck, I’ll have it ready for distribution in the middle of next week. I am presently working on music and page design for this year’s edition of the Twelve Days of Christmas series of videos (formerly titled Reflections on the Twelve Days of Christmas). Each episode is focused on a key word, one for each of the 12 days from Christmas Day to Epiphany Eve.